1 Men wrestle during an annual buffalo-racing ceremony at Virhear Sour village in Kandal province, Cambodia. The ceremony, which started more than 70 years ago, is held to honor the Neakta Preah Srok pagoda spirit. 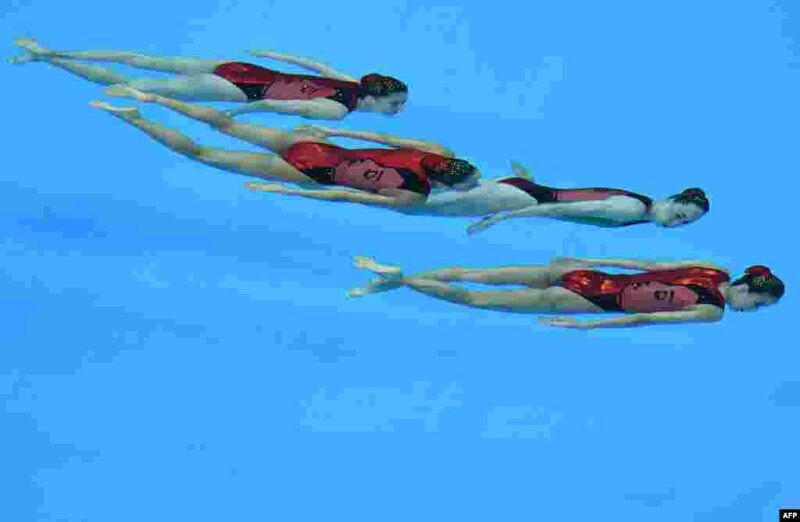 2 Japan's swimmers compete in the free combination synchronized swimming event final during the 2014 Asian Games at the Munhak Park Tae-hwan Aquatics Centre in Incheon, South Korea. 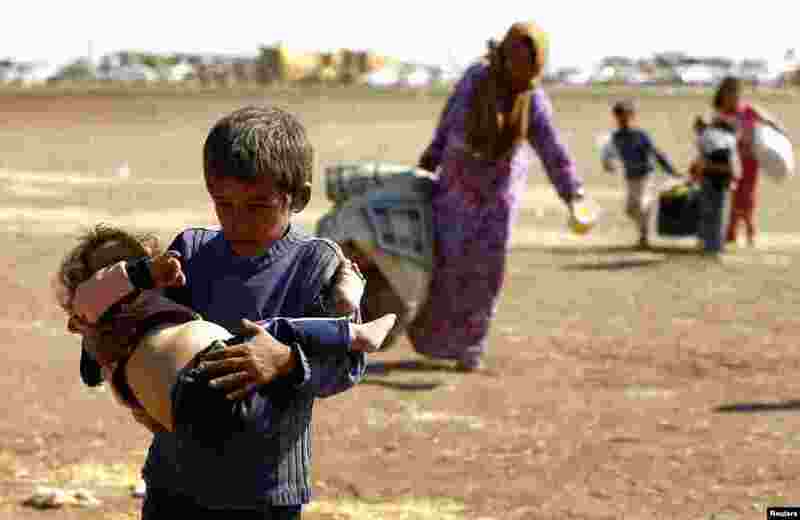 3 A young Syrian Kurdish refugee boy carries an infant after crossing the Syrian-Turkish border, near the southeastern town of Suruc in Sanliurfa province.